Mangelos - manifest; o društvu bez umjetnosti. Framed - quality, nature frame. 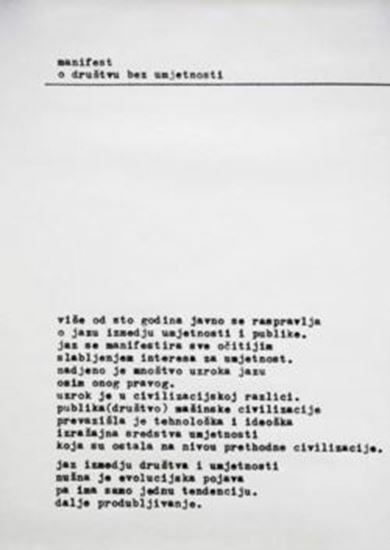 Produced as part of a gallery show in Zagreb that featured his manifesto work. Mangelos. Manifesti: noart. Zagreb: Atelier Tošo Dabac, 1978.